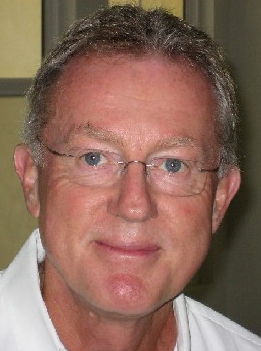 Dr. Tom Blackburn is a graduate of Manchester University, with over 25 years of experience at senior research management and executive level with international experience in drug discovery research in the Pharmaceutical/Biotechnology sectors and proven skills in discovery of innovative therapeutics for the treatment CNS disorders. His in-depth experience combines various research disciplines and approaches in coordinating drug discovery research at different levels of integration in order to document a proof of concept for new drug candidates. His innate ability to create original concepts and manage progress to commercialization has led to major blockbuster products. He has developed original compounds to POC, IND/NDA for the treatment of migraine, analgesia, anxiety and depression, Parkinson’s disease and several POC compounds for neurodegenerative and cognitive disorders, obesity and epilepsy. Tom has published over 200 papers, abstracts, chapters and presentations in the field of neuroscience and is an inventor on over 21 patents. He was President of the British Pharmacological Society, member of the American College of Neuropsychopharmacology and the Institute of Directors (IOD, London). TPBioventures website, click here. Lilly, a leading innovation-driven corporation, is developing a growing portfolio of first-in-class and best-in-class pharmaceutical products by applying the latest research from its own worldwide laboratories and from collaborations with eminent scientific organizations. Headquartered in Indianapolis, Indiana, Lilly provides answers – through medicines and information – for some of the world’s most urgent medical needs. Eli Lilly Canada, headquartered in Toronto, Ontario, employs more than 500 people across the country. For more information visit www.lilly.ca. 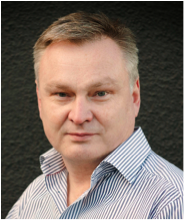 Niclas Brynne is the Senior Vice President and Head of Clinical Projects at Mentis Cura Diagnostics. The company is serving clinicians and pharmaceutical clients with a technology to improve and accelerate the differential diagnosis of CNS disorders. Mentis Cura currently operates a fully automated EEG-based biomarker service via electronically transmitted EEG recordings. 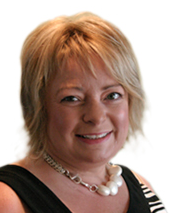 Before joining Mentis Cura Dr Brynne was senior Director at AstraZeneca leading Global Clinical Programs in Cognition. He also served as a Global Director in Translational Medicine leading the development of novel biomarkers and methods/models for Projects in Neurology, Psychiatry and Pain. Other senior positions include Director of Clinical Programs in Alzheimer´s and Parkinson´s Diseases, Multiple Sclerosis and Depression. Additionally, Dr Brynne was a member Detrol team at Pharmacia from candidate drug selection to launch. Dr Brynne earned his B.Sc at the University of Stockholm and has a Ph.D. in Clinical Pharmacology from the Karolinska Institutet. He is currently a Board Member of the Stockholm Brain Institute. For more information on Mentis Cura, click here. Marie-Françoise Chesselet, M.D., Ph.D., is the Charles H. Markham Professor of Neurology and distinguished Professor in the Departments of Neurology and the Department of Neurobiology at UCLA. After receiving her M.D. and Ph.D. degrees in Paris, France, she held research positions in France and faculty positions at the Medical College of Pennsylvania and the University of Pennsylvania, before joining UCLA in 1996. At UCLA, Chesselet chaired the Department of Neurobiology from 2002 to 2013 and is currently the Director of the Integrative Center for Neural Repair, which includes the Center for the Study of Parkinson’s Disease at UCLA she created in 1998. She has directed two NIH-funded Centers for Parkinson’s disease research (1998-2013 and 2002-2014) and the UCLA Advanced Center for Parkinson’s Disease Research of the American Parkinson Disease Association since 1998. Chesselet has directed graduate programs at the University of Pennsylvania and UCLA and has directed the NINDS-funded Training Program in Neural Repair since 1998. Her laboratory conducts research on the molecular mechanisms of disorders of the basal ganglia and new treatments for Parkinson’s and Huntington’s diseases. Her work is supported by the NIH, the Department of Defense, the Michael J. Fox Foundation, Cure HD Initiative, the Hereditary Disease Foundation, and biopharmaceutical companies. Chesselet is a Fellow of the American Association for the Advancement of Science and the President-elect of its section on Neuroscience. She serves on the National Advisory Environmental Health Sciences Council (NIEHS Council). For additional information, link here. Dr. Dale Corbett is currently a Professor of Neurosciences in the Department of Cellular and Molecular Medicine at the University of Ottawa and Scientific Director and CEO of the Heart and Stroke Foundation Canadian Partnership for Stroke Recovery. 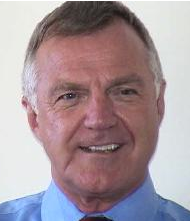 Prior to his relocation to the University of Ottawa in September 2010, Dr. Corbett held a Tier I Canada Research Chair in Stroke and Neuroplasticity at Memorial University. Dr. Corbett obtained his PhD from Concordia University followed by post-doctoral studies at McGill University. Subsequently, Dr. Corbett was a faculty member at Harvard University and also an Alfred P. Sloan Research Fellow from 1980-85. His laboratory is well known for pioneering research on the protective effects of prolonged, mild hypothermia that culminated in the use of “therapeutic hypothermia ” in the treatment of cardiac arrest and stroke. His current research concerns recovery of sensory-motor and cognitive function following stroke where he has made pivotal translational discoveries regarding the importance of early and intensive rehabilitation. Related work focuses on exercise and cognition and metabolic and vascular consequences of obesity and a sedentary lifestyle. Dr. Corbett has served on a number of peer review and research advisory committees for the Heart and Stroke Foundation and Canadian Institutes of Health Research (CIHR). He was the first recipient of the Paul Morley Mentorship Award from Canadian Stroke Network in recognition of his outstanding contributions to training new investigators in the stroke research field. His research is funded by CIHR; the Heart and Stroke Foundation; the Canadian Stroke Network and the Natural Sciences and Engineering Research Council of Canada (NSERC). He has published extensively in leading Neuroscience journals devoted to brain injury and repair. 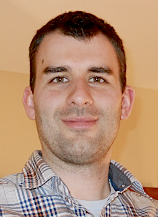 Dr. Mickael Decressac obtained his B.Sc in cellular and molecular biology and neuroscience from the University of Poitiers where he studied cell transplantation in Parkinson’s disease. In 2009, he completed his European PhD, from the University of Poitiers with Pr. Afsaneh Gaillard and from the University of Cambridge with Dr. Roger Barker, where he explored the role of neuropeptide Y in adult neurogenesis and its potential for brain repair (Parkinson’s disease and Huntington’s disease). He then moved to the Wallenberg Neuroscience Center in Lund (Sweden) where he did his post-doctoral training in Prof. Anders Bjorklund’s lab. In 2013, he was appointed associate researcher at Lund University where he focused his research on developing a new animal model of Parkinson’s disease based on AAV vector-mediated overexpression on alpha-synuclein. Using this powerful tool, he uncovered key pathological mechanisms underlying alpha-synuclein toxicity and identified therapeutic targets for neuroprotection and disease modification. He recently joined the Telethon Institute of Genetics and Medicine (TIGEM) in Naples as assistant professor and group leader. His group is interested in improving the current pre-clinical models of Parkinson’s disease and uses a translational approach to identify clinically relevant strategies for neurorestorative interventions. 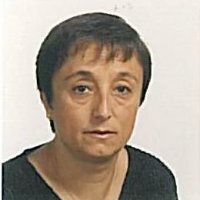 Dr. Thérèse Di Paolo is currently a professor in the Faculty of Pharmacy at Laval University in Quebec City and a senior investigator in the Centre Hospitalier Universitaire de Québec. The research of Dr. Di Paolo examines the effect of drugs with estrogenic activity on the brain including estrogen precursors, specific agonists and estrogen receptor modulators. The specificity of the neuroprotective and neuromodulatory effects of these products and their possible involvement in Parkinson disease are sought. Genomic mechanisms involving estrogen receptors alpha and beta are studied using specific agonists as well as rapid mechanisms involving the membrane estrogen receptor GPER1. Progesterone and androgenic drugs are currently investigated for their brain neuroprotection activity. Another research project investigates levodopa-induced dyskinesias in Parkinson’s disease using the MPTP primate model. The mechanisms involved in the occurrence of dyskinesias are complex and involve numerous neurotransmitters. Dr. Di Paolo has tested various glutamate and serotonin receptor drugs to inhibit and prevent dyskinesias and studies the brain biochemical correlated of their behavioral effect. Recently, her laboratory investigates bioavailable plasmalogens for their antidyskinetic activity and neuroprotection against dopamine loss in MPTP animal models of Parkinson. She has published extensively in Neuroscience, neuroendocrinology and neuropharmacology journals. 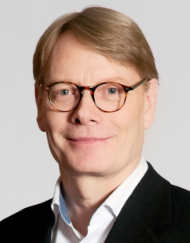 H. Christian Fibiger is Chief Scientific Officer at MedGenesis Therapeutix Inc., Assistant Dean, Research, in the Faculty of Medicine at the University of British Columbia, and a consultant to the biotechnology and pharmaceutical industries. He also serves on a number of corporate boards. Dr. Fibiger retired from Canada’s largest pharmaceutical company, Biovail Laboratories International (now Valeant) in 2010, where he was Senior Vice President and Chief Scientific Officer. Until July, 2007, he was Vice President and Global Head of Neuroscience at Amgen, the world’s largest biotechnology company. In this position he was responsible for Amgen’s worldwide Neuroscience discovery efforts ranging from early exploratory research through clinical candidate selection. He was also responsible for evaluating and implementing collaborative efforts, external alliances and licensing agreements in Neuroscience with biotechnology companies and academic institutions. Before joining Amgen in 2003, Dr. Fibiger served as Vice President of Neuroscience Discovery Research and Clinical Investigation, and LRL Europe at Eli Lilly and Company. Before moving to Lilly in 1998, Dr. Fibiger served as Professor and Head of the Division of Neurological Sciences and Chair of the University Graduate Program in Neuroscience at the University of British Columbia in Vancouver. He has made numerous contributions to neuroscience research and, during his academic career, was among the top 100 most cited scientists in neuroscience. 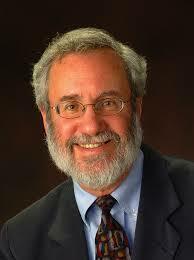 He has received numerous honors for his research contributions, including the Clark Institute Prize in Psychiatry, the Heinz Lehmann Award of the Canadian College of Neuropsychopharmacology, the Killam Research Prize, the Gold Medal in Health Sciences from the Science Council of British Columbia and the Tanenbaum Distinguished Scientist Award in Schizophrenia Research. He is a Fellow of the American College of Neuropsychopharmacology (ACNP). Dr. Fibiger serves on the editorial boards of ten journals in the field of neuroscience and has been coeditor of Neuropsychopharmacology, the official publication of the American College of Neuropsychopharmacology. He has authored or coauthored more than 400 scientific papers focused mainly on the neurobiological substrates of Alzheimer’s disease, schizophrenia, depression and drug abuse. Dr. Fibiger has served on a number of national and international scientific advisory boards including the National Institute of Mental Health (USA), the Canadian Psychiatric Research Foundation (Canada), the Medical Research Council (Canada), the Human Frontiers Science Program (International), and the National Alliance for Research on Schizophrenia and Affective Disorders (USA), the Hotchkiss Brain Institute (Canada), and the Ontario Brain Institute (Canada). Dr. Fibiger received his B.Sc. in Chemistry and Psychology from the University of Victoria in 1966 and his Ph.D. in Psychopharmacology from Princeton University in 1970. MedGenesis Therapeutics website, click here. Dr. Patrick Howson is a co-founder and Chief Executive Officer of Junaxo Inc., a virtual drug development company founded in Toronto in 2013 that investigates and develops novel therapeutic compounds for the treatment of neurodegenerative diseases. In addition to his role in Junaxo, he is Head of Chemical Services at Atuka Inc., a CRO specialising in animal models of Parkinson’s disease which also provides medicinal chemistry services and research compounds. He holds an academic position within the University Health Network where he helps progress drug development programs in Parkinson’s disease. Patrick has a Ph.D. in Neuroscience, from the University of Bristol, UK (1999) and subsequently worked in an academic Medicinal Chemistry group. Prior to moving to Canada, he was Head of Preclinical Sciences at Phytopharm plc, a UK based pharmaceutical company, and he has over 10 years’ experience of working in drug discovery and development. He has been involved in managing drug development and functional food projects from early pre-clinical evaluation through to Phase II clinical studies, including, most recently, a Phase II clinical study in Parkinson’s disease. Dr. Howson also has experience in the generation and management of intellectual property and is a named inventor on several patents. For more information on Atuka, click here. 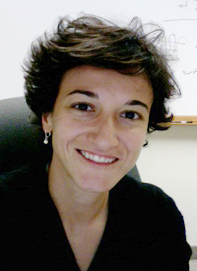 Nadine Kabbani is a faculty member at the Krasnow Institute for Advanced Study and an Assistant Professor in the Department of Molecular Neuroscience with joint appointments in the Departments of Bioinformatics & Computational Biology and Molecular & Microbiology. Her research has focused on the cellular, molecular, and post-genomic mechanisms of drug actions in the brain. Current projects at her eponymous lab at the Krasnow Institute for Advanced Study include various analyses of receptor interaction networks, both in brain tissue and using bioinformatic tools. She is a member of the Society for Neuroscience, the Protein Society, the Society for Pharmacology and Experimental Therapeutics, and the Virginia Youth Tobacco Project. Dr. Kabbani also serves on the editorial board for the Biological Bulletin and Proteomics Insights. Dr. Kabbani has been the recipient of the Pre-doctoral Intramural Research and Training Award (National Institute for Neurological Disorders and Stroke, NIH), the Philip Morris Post-doctoral Award, the Foundation for Medical Research Award, the International Brain Research Organization World Congress Award, and the Philippe Foundation American-French Scholar Exchange Program Award. Prior to joining the faculty of the Krasnow Institute, Dr. Kabbani pursued postdoctoral training in the laboratory of Professor Patricia Goldman-Rakic (Yale University) and in the laboratory of Professor Jean-Pierre Changeux at the Pasteur Institute. She received her PhD in Pharmacology from the Pennsylvania State University School of Medicine. Dr. Alfred Maelicke is CEO of Galantos Pharma, a drug development company founded in 2005 with the aim of solving the urgent medical need in Alzheimer’s disease (AD) for drugs combining both, efficient cognition enhancement and slowing down of disease progression. Rather than joining the band of companies that tried immunotherapeutic or other approaches aimed at removing excessive or misfolded extracellular ß-amyloid, we used as lead the plant alkaloid and marketed AD drug galantamine (Reminyl®, Razadyne®), and aimed at improving crucial properties of this natural cognition enhancing drug. Galantos’ most advanced drug candidate Memogain® is a NCE and pro-drug of galantamine that according to preclinical tests is (i) free of any gastrointestinal side effects and (ii) partitions much more efficiently into the brain than does galantamine. In there it is enzymatically cleaved and releases the parent drug galantamine at dramatically enhanced bioavailability. GLP-preclinical development of Memogain® has been completed and the requirements for first-in-human clinical studies have been fulfilled. Memogain is expected to offer decisive improvements in medical benefit compared to all currently available AD drugs: it may produce larger and more sustained cognition enhancement, faster and stronger onset of efficacy, and significant slowing of disease progression. Because it does not cause any significant gastrointestinal side effects, Memogain will neither require slow up-titration of dose (as need all so called cholinesterase inibitor drugs), nor will dosing be limited by the level of adverse effects tolerated by the individual patient. Galantos Pharma has recently been restructured with the aim of focusing all resources on clinical development of Memogain and rapid market introduction as the first drug for symptomatic and disease-modifying treatment of mild-to-moderate Alzheimer’s disease. For more information on Galantos, click here. Dr. Meshul’s laboratory is mainly involved in investigating electron microscopic/immunocyto-chemical changes in synapses within the brain following various drug treatment procedures or lesions of the nigrostriatal pathway, as a model for Parkinson’s disease (PD), and correlating these findings with functional/protein changes using in vivo microdialysis/westerns, quantitative double labeling immuno-gold electron microscopy of corticostriatal and thalamostriatal glutamate synapses, and motor behaviors in mice. Using a new progressive mouse model of PD developed in his lab, by administering increasing doses of the toxin, MPTP, they have found that exposure of mice to a socially enriched environment can, after the initiation of the loss of dopamine, slow down or block the neurochemical and motor behavioral deficits due to continued treatment with MPTP. They are currently investigating 1.) the therapeutic affects of treadmill exercise in this same progressive MPTP model of PD in both young and aged mice, 2.) the effect of MPTP in a double floxed line of mice (Vgat flox/flox; Vglut2 flox/flox) in which either the motor cortex is activated or the subthalamic nucleus is inactivated by infusion of AAV-cre. Either treatment results in neuroprotection from dopamine loss in the striatum and substantia nigra, and 3.) the effect of a flavinoid derivative, which specifically activates the brain derived neurotrophic factor receptor, TrkB, on blocking the further loss of dopamine during continued MPTP treatment. research, diagnostic and therapeutic applications. The company utilizes a unique and proprietary Somru™ technology which produces antibodies with superior binding affinity and bioactivity in a wide variety of biological assays in a short period of time. They also offer a wide range of quality reagents for research and diagnostics applications as well as biosimilar research and development. In addition, they are developing a portfolio of “ready-to-use” kits for ultra-sensitive and highly specific detection of drug (innovator and biosimilar) and anti-drug (innovator and biosimilar) antibodies. 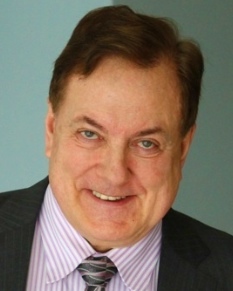 Dr. James L. Olds received his bachelor’s of art degree in Chemistry from Amherst College in 1978 and a Ph.D. in neurosciences from the University of Michigan in 1987. He trained as a post-doctoral fellow in the Laboratory of Molecular and Cellular Neurobiology (LMCN), NINDS at the National Institutes of Health. Laboratory Chiefs of LMCN included, among others then, Dr. J. Craig Venter and Dr. Daniel L. Alkon. In 1994 Dr. Olds was appointed as a senior staff fellow in the newly formed Laboratory of Adaptive Systems (LAS), NINDS. After a 3 year stint in the nonprofit sector as Executive Director of the American Association of Anatomists, Olds accepted his current position in 1998 as Director at the Krasnow Institute for Advanced Study. Concurrently, Dr. Olds is the Krasnow University Professor of Molecular Neuroscience and serves as chair of the Department of Molecular Neuroscience at Krasnow. He has an additional academic faculty appointment in the Department of Anatomy and Cell Biology at the Uniformed Services University of the Health Sciences in Bethesda, Maryland. In 2009, Olds was re-appointed to a 5 year term as editor-in-chief of The Biological Bulletin, one of this country’s oldest peer reviewed journals. Olds is additionally affiliated with the Marine Biological Laboratory in Woods Hole, the oldest such institution in the United States. He was elected a member of the MBL Corporation in 1991. In a volunteer capacity, Olds has served on many professional and governmental bodies including serving a 3-year term on the Board of Directors of Americans for Medical Progress, where he was treasurer. He is currently serving as chair of the Sandia National Laboratories’ Cognitive Sciences Review Board and additionally on Sandia’s Computer Science Board. Olds has been invited to speak nationally and internationally on topics ranging from the International Decade of the Mind Project to the ethical, legal and social issues embedded in neurotechnology. His blog Advanced Studies has covered these issues and others at length over the past six years. Dr. Brandi K. Ormerod obtained her B.Sc. (Honors) in Psychology from Queen’s University in 1998 where she studied the neural substrates of memory with Dr. Rick Beninger and her Ph.D. in Neuroscience from the University of British Columbia where she studied the hormonal regulation and function of adult neurogenesis with Dr. Liisa Galea. She then completed a postdoctoral fellowship at Stanford University where she studied the effects of neuroinflammatory signaling on adult neurogenesis and cultured neural progenitor cells with Dr. Theo Palmer. Dr. Ormerod is currently an associate professor in the Biomedical Engineering Department at the University of Florida. 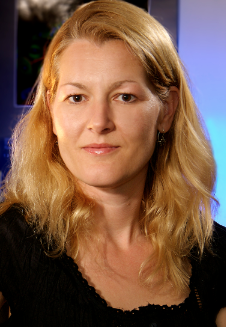 Her laboratory focusses upon developing neural progenitor cell strategies for neural repair and upon discovering the functional role and regulation of hippocampal neurogenesis across lifespan, with recent emphasis upon how age-related dysregulation of neuroimmune signaling impacts cognition potentially through its effects on neurogenesis. Libramen Naturals was formed recently to commercialize the internationally recognized, and highly successful research of Drs. Shucui Jiang and Michel Rathbone. The synergistic work of these laboratories focuses on the use of natural products to protect cells and tissues from injury and to stimulate their regeneration after damage. The lead product is a Chinese herbal mixture that has multiple components each designed to block biochemical pathways that contribute to the damage after spinal cord injury while enhancing pathways and processes that foster spinal cord regeneration. A second equally-promising product focuses on the cardiovascular system and stroke. Other products are in the pipeline. Libramen Naturals has an exclusive arrangement with a Chinese company that sources the raw materials. Libramen naturals anticipates that it will be possible to bring the initial product to market within three years, and anticipates the pipeline to produce further products at 1.5 to 2 year intervals. Dr. George S. Robertson was jointly appointed as Professor and CIHR-Rx&D Chair in the Departments of Psychiatry and Pharmacology at Dalhousie University on October 1, 2002. 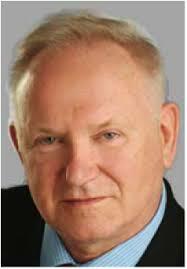 His primary expertise is in the fields of neuropharmacology and apoptosis. After completing postdoctoral studies at the University of British Columbia with Dr. H.C. Fibiger in 1992, he was appointed as an Assistant Professor in the Department of Pharmacology at the University of Ottawa and promoted to the rank of Associate Professor in 1996. Dr. Robertson also has a strong background in the industrial sector having served as Director of the Neuroprotection Program for the biotechnology company Apoptogen Inc. (1996-1998) and subsequently as Head of the Department of Pharmacology at the Merck Frosst Centre for Therapeutic Research (1998-2002) in Kirkland, Quebec. Dr. Robertson’s primary research interests are the development of surrogate blood markers and treatments for psychiatric and neurodegenerative disorders. His research has been supported by grants and training awards from Genome Canada, Canadian Institutes for Health Research (CIHR), Atlantic Canada Innovation Fund, Nova Scotia Health Research Foundation, Canadian Stroke Network, Heart and Stroke Foundation (Ontario and Nova Scotia), Michael J Fox Foundation for Parkinson’s disease, Ontario Mental Health Foundation and the Multiple Sclerosis Society of Canada. 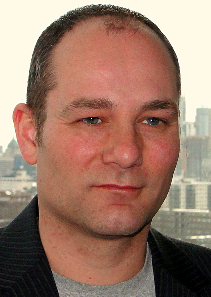 Laurent Tillement, D. Pharm., Ph.D.
Scientific Advisor at Servier Canada Inc.
After receiving his D.Pharm. degree in Paris, France and his Ph.D. degree from Georgetown University, Washington DC, USA, he joined Servier Canada Inc. in 2011. Servier Canada Inc is the Canadian affiliate of Servier Research Group the leading French independent pharmaceutical company. Servier Research Group is established in 140 other countries, which represents a workforce of 20,000, including 3,000 in R&D. Each year, Servier Research Group reinvests 25% of its turnover in research and development. Servier Canada Inc is committed to the investment in research and development in Canada and Laurent Tillement is responsible for initiating Servier Research Group collaborative efforts. In addition Laurent Tillement is playing a role in the International Centre for Therapeutic Research which is responsible for conducting Phase I, II & III clinical trials in Canada with the objective of bringing-to-market new Servier pharmaceuticals. 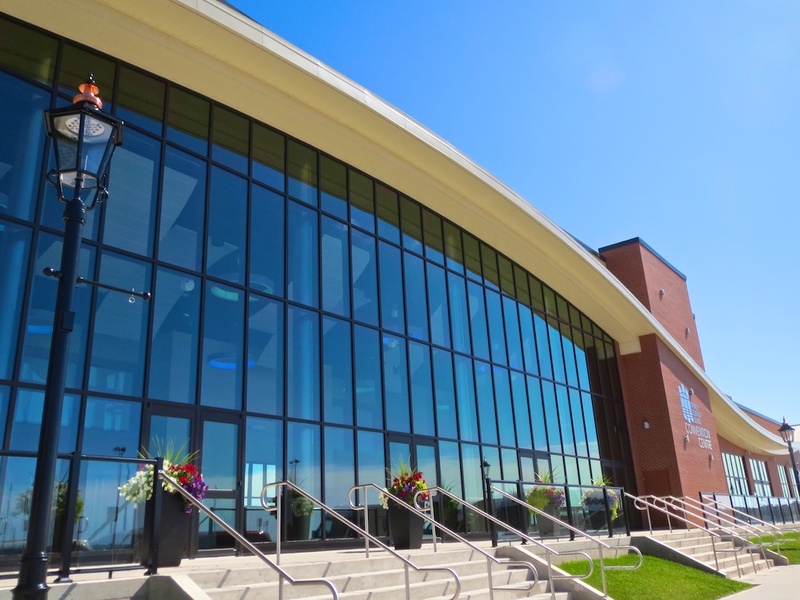 Servier Research Group intend to develop new drugs in Canada and make them available to Canadian patients by drawing on a supportive environment for biopharmaceutical research and, in particular, on a workforce with a very high-level of scientific skills. Andre Turenne joined Genzyme in 2006 and currently oversees Genzyme’s Strategy and Business Development function. He is responsible for Genzyme’s global partnering, licensing, and acquisition activities. Formerly, he was Vice President, Head of Rare Disease Business Development, Senior Director, Head of Renal Commercial Operations and Director, Cardiometabolic and Renal Business Development. He has an M.B.A. from Tuck School of Business at Dartmouth. Philippe Walker is the CSO at NEOMED where he is in charge of a team of seasoned Project Directors who jointly support the advancement of the NEOMED portfolio. He ensures that efficient project strategies are established and implemented to deliver high-quality drug candidates that meet multinational Pharma standards. 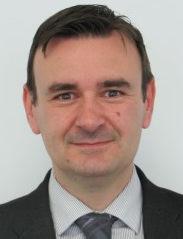 Until June 2012, Philippe was Vice-President and Head of the AstraZeneca R&D Montreal research centre and member of AstraZeneca’s Global Neurosciences iMed leadership team. In 2010, Philippe was interim head of Neuroscience Worldwide Drug Discovery, overseeing the activities of a staff of 650 researchers (in Montreal, Stockholm and Wilmington). He has been on the Board of Directors of Arginetix and then Corridor Pharmaceuticals, representing the MediVenture Investment fund. Philippe is also Vice President of the Fonds de Recherche Québec – Santé, the main public funding agency for health care research in Quebec. Philippe is also a mentor for the BioSuccès Mentoring Network, an initiative sponsored by Montreal inVivo and the Quebec Government to provide mentors with solid expertise to emerging entrepreneurs in the life science sector. Philippe is also President of the Project Portfolio Evaluation committee of IRICoR, a valorization instrument for the “Institut de Recherche en Immunologie et Cancer” of the Université de Montréal. Philippe studied in Switzerland where he obtained his Ph.D. in Science in 1986. He spent 2 years at the Fred Hutchinson Cancer Center in Seattle. From 1988 to 1994, he established and directed a research group at the Division of Hypertension of the CHUV in Lausanne Switzerland where he obtained a START career grant from the Swiss National Fonds. For more information about NEOMED, click here. 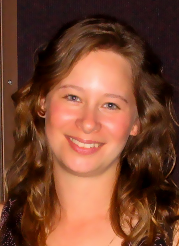 Jackalina M. Van Kampen, Ph.D.
Director of Preclinical Research at Neurodyn Inc.
Dr. Jackalina M. Van Kampen is currently Director of Preclinical Research at Neurodyn Inc. as well as Adjunct Professor in the Department of Biomedical Science. She came to Neurodyn from the Mayo Clinic College of Medicine where she held the position of Assistant Professor of Molecular Neuroscience. Parkinson’s disease has been the main thrust of her career, beginning with graduate training under the supervision of Dr. A. Jon Stoessl, Director of the Pacific Parkinson’s Research Centre, and continuing through postdoctoral training with Dr. Harold Robertson, Research Director and co-founder of the Brain Repair Centre. She has established a research program focused primarily on neuroprotection and neuronal recovery in models of neurodegenerative disease and currently holds a CIHR grant, studying the neurorestorative potential of adult neurogenesis in a rodent model of Alzheimer’s disease. Dr. Van Kampen has also been working with Neurodyn to develop novel neuroprotective therapies for various neurological conditions, including Parkinson’s disease, Alzheimer’s disease and ALS. For more information on Neurodyn, click here. 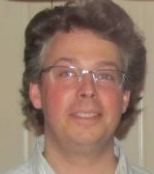 Dr. Vande Velde is a cell biologist with a focus on the pathogenic mechanisms underlying amyotrophic lateral sclerosis. She obtained her Ph.D. in Biochemistry from the University of Manitoba in 2001 where, with Dr. Arnold Greenberg, she described a novel programmed cell death mechanism mediated by a BCL-2 family member. She then pursued post-doctoral studies at the University of California, San Diego/Ludwig Institute in the laboratory of Dr. Don Cleveland where she developed an expertise in working with SOD1 rodent models of ALS and was involved in the initial characterization of Alsin/ALS2. She has made several contributions documenting the impact of misfolded SOD1 on mitochondrial function. In 2007, Dr. Vande Velde established her laboratory at the CHUM Research Center, an affiliate of the Université de Montréal, to explore novel pathways and genes in ALS pathogenesis. Her current work features TDP-43 and FUS in stress granule dynamics as well as misfolded SOD1 and mitochondrial dysfunction. Fundación MEDINA is a Research Organization focused on the discovery of innovative medicines and biomarkers as well as new industrial products for unmet needs. development and analysis of ingredients for the nutrition and cosmetics fields. discovery and development of new enzyme catalysts and genetic elements for industrial use. high sensitivity clinical analytics, pharmacokinetics and metabolomic profiling for clinical / translational research. MEDINA offers collaborators access to its industry-trained scientific team, its unique library of natural products, one of the largest and most productive in recent history, and its high throughput /high content bioassay screening and chemistry / chromatography/ spectrometry platforms. Dr. David Westaway is a molecular biologist with a special interest in the use of genetically engineered “transgenic” mice to recreate and understand human neurologic disorders. After obtaining PhD in Biochemistry at the University of London he completed postdoctoral training with two Nobel Laureates, Harold Varmus and Stanley Prusiner, both at the University of California San Francisco. In 1994 Dr. Westaway moved to the Centre for Research in Neurodegenerative Disease at the University of Toronto. There his lab created the TgCRND8 line of transgenic mice, a robust model of early-onset Alzheimer’s Disease. TgCRND8 mice are widely used in over forty Alzheimer’s Disease labs in the USA and Europe, as well as in the drug development programs of several pharmaceutical companies. In 2006 Dr. Westaway moved to the University of Alberta where he is appointed as Professor (Neurology) and Director of the Centre for Prions and Protein Folding Diseases. Dr. Westaway’s research in prion biology has focused on the genetic basis of disease susceptibility, metal-binding properties of PrP, and two new members of the PrP protein family called doppel and shadoo. 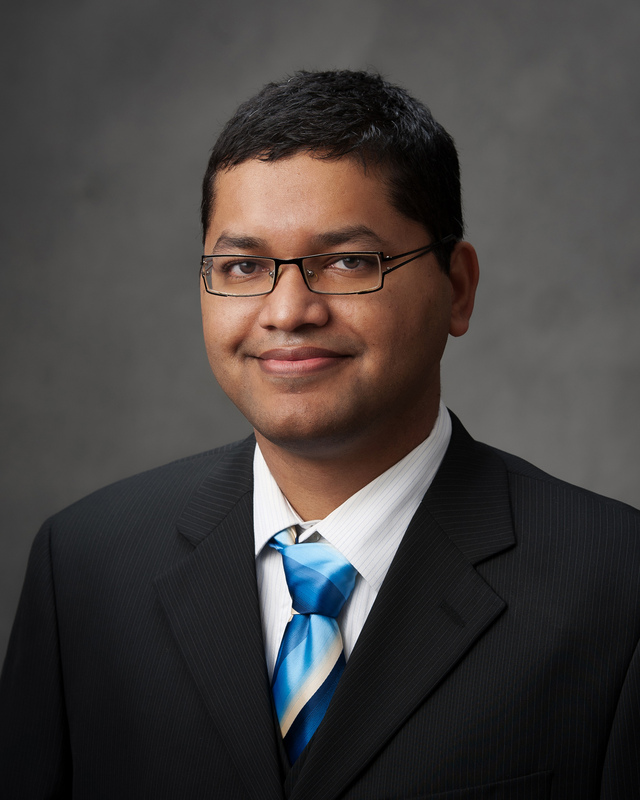 His current work is directed towards an understanding of 1) the roles of the PrP, shadoo and chaperones in prion disease, 2) common features in the pathogenesis of prion disease and Alzheimer’s Disease and 3) novel roles of cellular prion proteins in protecting neurons against irreversible damage. Over the past year, Dr. Zigmond and his research team have continued their studies of cellular and animal models to examine Parkinson’s disease (PD), which they believe is a multi-factorial disorder. A major focus of the lab is the role of intracellular signaling cascades in determining the viability of dopamine (DA) neurons. They hypothesize, for example, that trophic factors such as GDNF and oxidative stress can both stimulate intracellular survival cascades, including those involving MAP kinases. They further believe that endogenous trophic factor expression can be enhanced by exercise which in turn can be neuroprotective. And they have evidence that protection also can derive from acute exposure to low levels of a neurotoxin, a form of preconditioning. Last year their work included studies of the impact of oxidative stress induced by 6-hydroxydopamine (6-OHDA), a DA analogue that is concentrated in DA cells and rapidly breaks down to form reactive oxygen species. Results from these and other studies suggest that DA neurons react to stress by initiating a set of protective responses. Learning more about these responses may provide insights into new treatment modalities for PD. In the coming year, Dr. Zigmond will continue to focus on understanding the strategies DA neurons use to reduce their vulnerability to intracellular stress. For example, studies are underway to determine if inhibition of trophic actor action or of kinase activation will block neuroprotection seen with exercise or GDNF or increase 6-OHDA toxicity. Some of these studies involve the preparation of molecular biological tools that maintain kinases in a constitutively or dominant negative state and/or localize a kinase to the cytoplasm or the nucleus. In addition, histochemical methods are being developed to quantify kinase levels in different cellular compartments of identified cells. Dr. Zigmond also is involved in the influence of environmental enrichment on Parkinson’s Disease and age-related decline and working with decision scientists to try to understand why we make such poor decisions about our lifestyle.